New advances in technology almost always give birth to new marketing approaches. 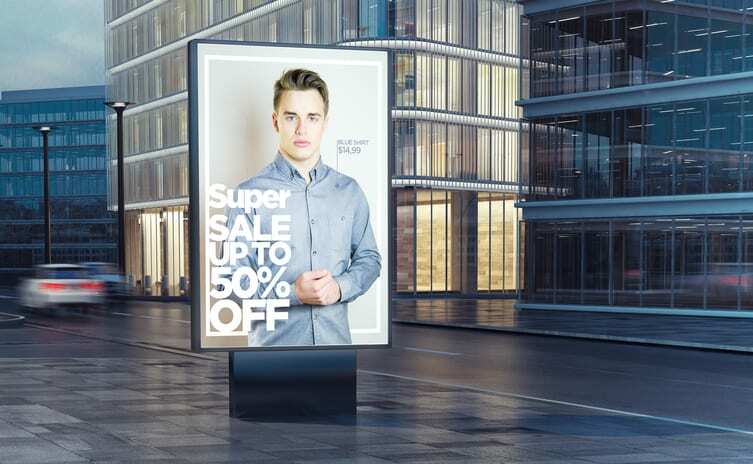 There’s one particular innovation that’s been helping businesses bring down costs while providing a way to promote their products and services like never before: digital signage. Today, the marketing agency team at HardyHarris wants to show you a few reasons why you should include this type of display into your current promotional plans. For starters, opting for digital signage over traditional models is a great way for your business to go green. You’ll have almost unlimited versatility in how you market your business without having to waste materials every time you change a promotion. No business wants to pass up any opportunity to improve revenue. A digital sign can do exactly that. This type of signage can increase visitation frequencies and help you reach more customers at the point of sale. Additionally, digital signage allows you the chance to showcase product lines and offerings (like gift cards, parties, and VIP service) in a way that offers a stronger return on your investment. Finally, marketing agencies report that digital signage leads to an overall decrease in costs for promotional printing, visual impact/branding improvements, target messaging, and general communication. As you can see, modern businesses are the perfect place to use these dynamic new digital displays. Find out how you can provide an engaging experience for both your customers and your staff. Ask HardyHarris’s marketing agency for more details on how we can make a difference in your promotions.